iPhone XS on left and iPhone XS MAX on right. Battery Shape is completely different. 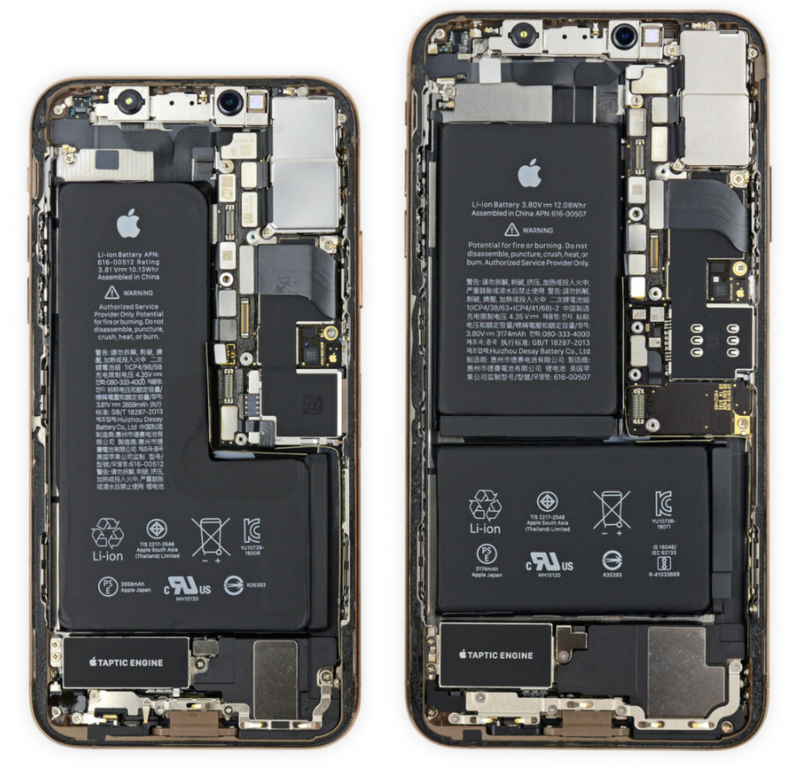 iFixit has shared iPhone XS and XS Max teardowns. Internal design is pretty similar to iPhone X.